hud? 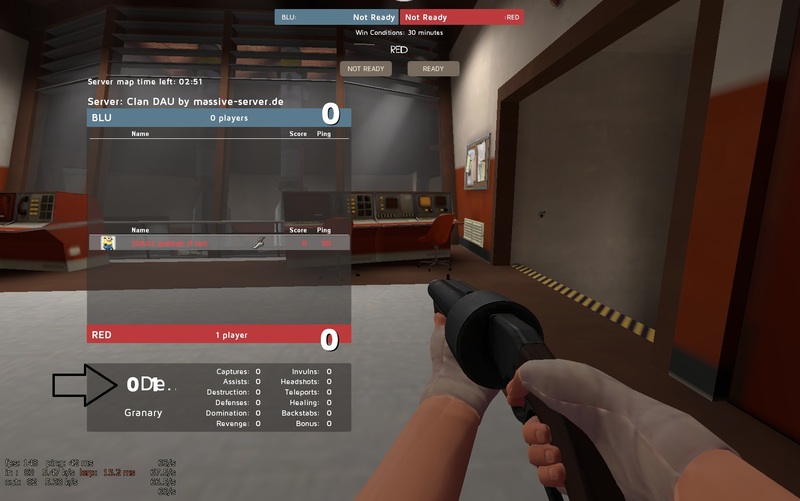 i checked and it doesnt seem to be TF2Hud+ or Improved Default, but some modified sixs scoreboard. if nothing else, it wouldn't be too hard to recreate. Naming the file "chat_english" doesnt do anything, but "tf_english" affects it, so that must have been what you meant. However, just removing Player(s) from those two lines and leaving it as "%s1" doesnt work. ideas? is there a way i can change the TeamPlayerCount on the scoreboard to just be a number and not # Player(s)? Are there still any s8 invite stv's? Blight specifically? I can't find any on ESEA. Does anyone have this old version of knhud in a repository or w/e? I know that something in SourceScheme.res made the net_graph and cl_showfps different. Font is Maven Pro. It's pretty easy to find in a public playlist. I didn't mean the barely audible "yao" though. But I'd appreciate somebody pointing me in the right direction. Thanks. Powah had a hitsound of this, but you can't get it in his configs anymore. So, for the sake of future downloads, does anyone have this? I noticed that tons of tf2 movies have nice, smooth ragdoll deaths; but I haven't gotten a headshot kill without an enemies ragdoll doing a little cartwheel. It's just weird. Practically every headshot kill = summersault, most other kill = nothing short of the same. I even loaded a movie cfg / lawena, still those damned cartwheels. I play on various servers, so I know it's not a server side activated cvar or anything. I've always played with ragdolls on too. DF-Project_4, Random Damage and ricco 4 please?